Site speed is an important part of your website experience and it’s becoming more critical. In addition to Google placing increased importance on it, we also see an increase in website conversions as page load times drop. There’s great reason to speed up your site. In order to decrease load times, image sizes need to be kept in check. 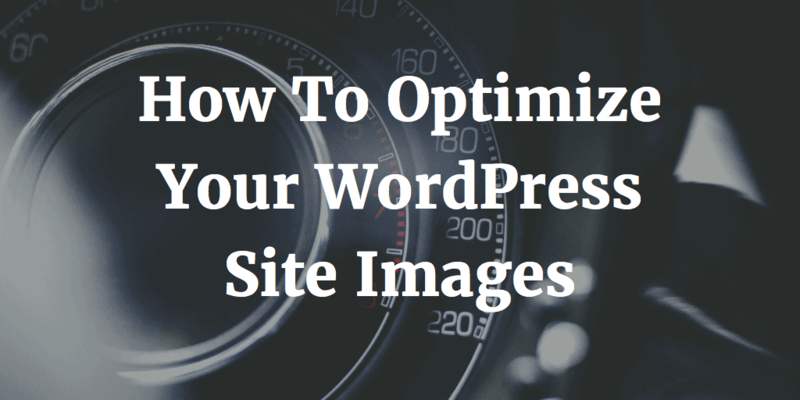 Here’s how to optimize your WordPress site images for optimal site speed and experience. Updating your WordPress site to smaller image resources is simple. The easiest way is with the ShortPixel plugin. Simply install ShortPixel on your WordPress site, check the default settings, and start the bulk optimization process. It can take some time to do the work on large sites (and you must leave the optimization tab/window open in your browser while it works) but the results are well worth it. I was able to compress my image files by an average of 39.8%, saving 81.78MB of disk space and cutting down on website bandwidth by many gigabytes a month. Most importantly, these changes decreased load times for all website visitors. This will provide a better website experience for users and help site ranking, thanks to increased site speed. ShortPixel lets you optimize 100 images each month for free (click here and signup to double your free allowance to 200/month) and offers monthly or one-time plans for those looking to optimize even more. I purchased a one-time package and used it to optimize the images on all of my sites, by sharing the API key across each of them. Though I usually optimize images before uploading (through a combination of Photoshop and TinyPNG) I found that ShortPixel is able to further optimize them once uploaded. There’s no noticeable degradation in quality and it can even strip EXIF data from images, to protect your privacy. After you’ve bulk optimized your entire site, all future uploads will automatically be run through ShortPixel as they’re uploaded. That way your images always stay updated. Be sure to benchmark your site before and after, using a site like GTmetrix, to see just how much difference your image optimization makes in site speed. Google is putting greater weight into website speed and will do even more so as they make the move towards a mobile-first index. By taking the time to optimize your WordPress site images, not only can you reap greater search engine optimization benefits but also help to increase conversions on your sites at the same time by providing a better user experience. Give ShortPixel a try today and see how it can help speed of up your WordPress site with ease.